5 affordable automatic cars in India! Gone are the days when automatic transmissions were available only on top end variants of high end cars. Several car manufacturers have offered automatic transmissions even on mid trim variants of their cars. This has made automatic cars more affordable and within the reach of many who could not afford an automatic car earlier. Here we take a look at recently launched automatic variants of cars which are good options for those looking for affordable automatics in India. 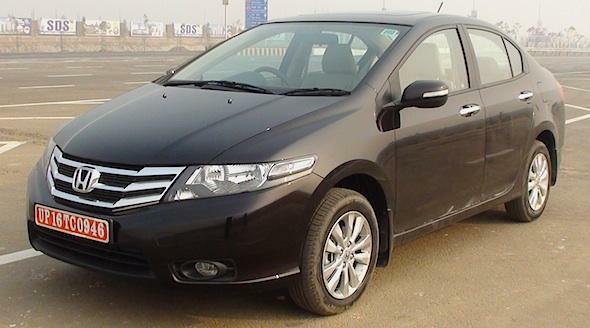 Honda launched the S variant of the City sedan with an auto-box in August 2012. The City S AT priced at Rs. 9.09 lakh is over Rs.50,000 cheaper than the VAT variant and Rs.1.37 lakh cheaper than the VAT with Sunroof variant. The S AT sports features like five-spoke alloy wheels, steering mounted audio-controls, remote control for music system, a height adjustable driver seat and a front arm rest. 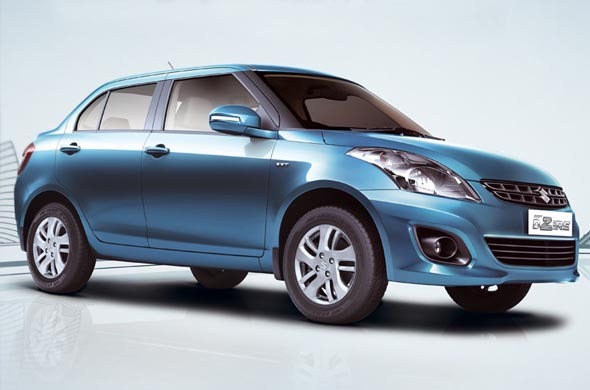 Maruti gave its customers a taste of automatic transmission with the launch of the Dzire VXI AT back in February 2012. Price at Rs.6.66 lakh the Dzire VXI is one of the most affordable automatic sedans in the market today. Also read: New Maruti Dzire: Video Review! It sports a 1,197 cc engine that makes 86 bhp of power and 114 Nm of torque. It is mated to a new 4-speed automatic transmission which is easy to use and very drivable. It also offers goo kit with features like AC, 4-power windows, ABS, EBD, power and tilt steering, dual trip meter, digital fuel indicator and a music system. This makes a Dzire a good choice for those looking for an Automatic sedan under Rs.7 lakh. The Ford Fiesta 1.5P Style automatic is price at Rs. Rs. 9.14 lakh which is Rs. 72,000 cheaper than the Titanium AT variant. The Fiesta is a driver’s car and even the automatic is fun to drive. Also read: Ford Fiesta Automatic launched at Rs. 8.99 lakh! It sports a 1,499 cc 4 cylinder motor that makes 108 bhp of power and 140 Nm of torque. It is mated to a 6-speed automatic transmission which slots in nicely and makes for a laid back drive. Features like AC, 4 power windows, parking sensors, cruise control, power steering, rear defogger and rear wiper make it quite attractive. It also sports safety features like ABS, EBD, ESP and 2 airbags. It sports a 1,598 cc engine that makes 105 bhp of power and 153 Nm of torque. 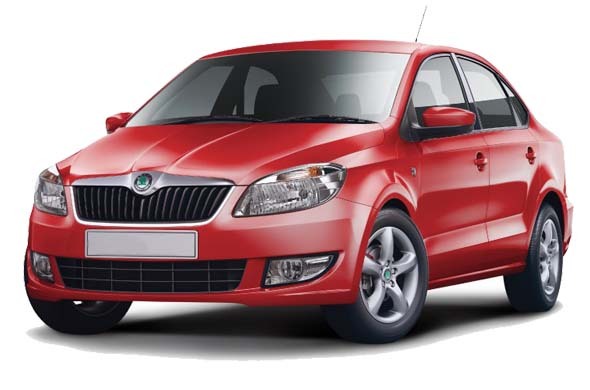 It sports a 6-speed automatic transmission which is smooth and easy to use and returns 15 kmpl (claimed). The Rapid is good option with features like AC, climate control, 4 power windows, adjustable seats and a rear AC vent. Other features include power steering, tilt and telescopic steering, a tachometer, rear defogger, a music system, ABS and 2 airbags. The Brio automatic hasn’t been launched yet but will make its way to Honda’s Indian line up in the coming months. The Brio AT will be a good alternative to other small automatics like the Maruti Suzuki A-Star and the Hyundai i10. Details about the Brio Automatic are yet to come out but it will likely be priced between Rs.5.50 lakh and Rs.6 lakh. 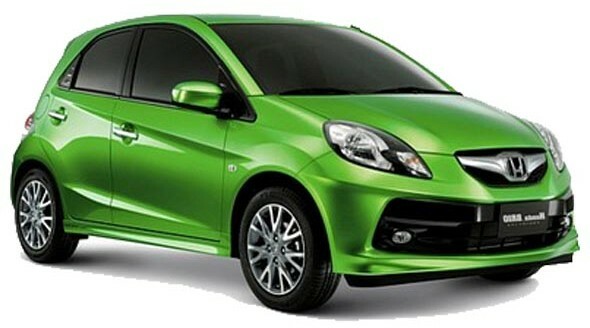 Also read: Honda Brio Sedan launch with diesel motor confirmed!